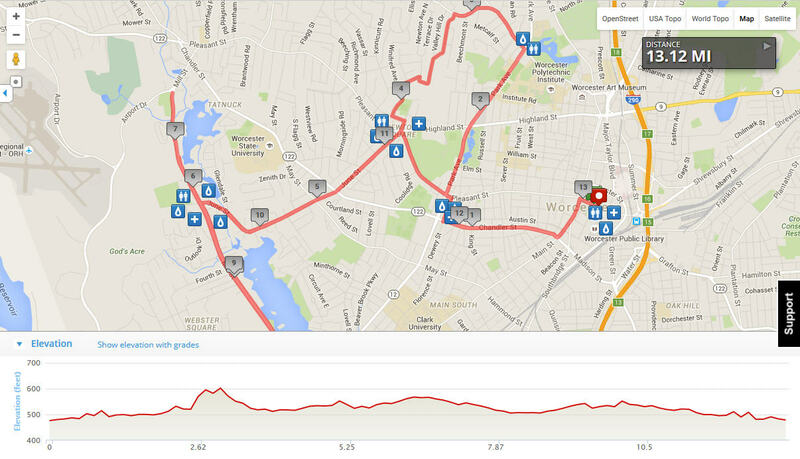 This entry was posted in half marathon, HSHive, Massachusetts, Nuunbassador, races, solo, summer and tagged half marathon, Honey Stinger, HSHive, Massachusetts, Nuunbassador, running, Worcester, worcester running festival by dgobs. Bookmark the permalink. Congratulations, Dana! So glad to hear that it your fears were unfounded, and you did great! Yay, I’m glad you had a good race! Is it bad that I’ve only ever had Gu’s/ gells at races? I never buy them for long runs but usually take a citrus one in races. I totally would have had pizza at 10am after the race. 🙂 Glad they had a bottle of water ready for you though. 🙂 Congratulations! Thanks! 🙂 I don’t think it’s bad, you gotta do what works for you! I was a little nervous about how it would react with my stomach but it was fine. Usually I’m cool with pizza at all hours, but it was way too hot and too early to think about standing around in the sun eating it! Awesome! You stayed healthy, finished and didn’t collapse! Victory is yours! Funny how many awful porta-potty stories I have heard this year – it seems like more and more races are struggling with this! I generally go with gels, not as much a fan of chews as they have tended to melt together on me … but I agree that they are gross and you really need water to choke them down. Necessary evil, I suppose … I tried on a ~25 mile run last year to eat a protein bar … and that pretty much sucked all moisture out of my mouth. Lesson learned. Scenery is a tough thing … I love Wineglass for the open scenery and nice variety of small towns for 95% of race, but the 5% of crappy industrial roads at ~mile 23 is a necessary evil. Other races have a similar issue with too much isolation, too open, and so on. My trail marathon only had two spots for spectators aside from the start/finish! (and they were hard to get to, so only about 7 people cheered us on total!) Hard to get a good balance for every race. Thanks! 😀 Apart from the chokey, needing water part of the gel, I quite liked it… way easier to consume than the chews, and gave me more boost for the effort. Suboptimal scenery does seem like a necessary evil… I don’t think I’ve run a race yet that was absolutely breath-taking the entire way!